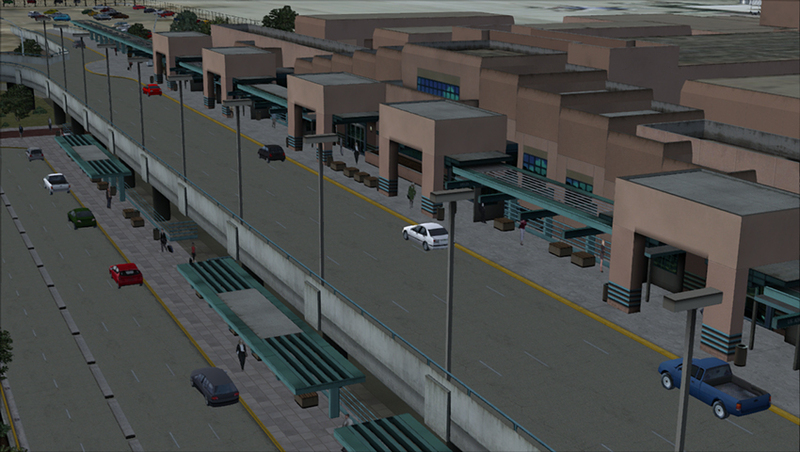 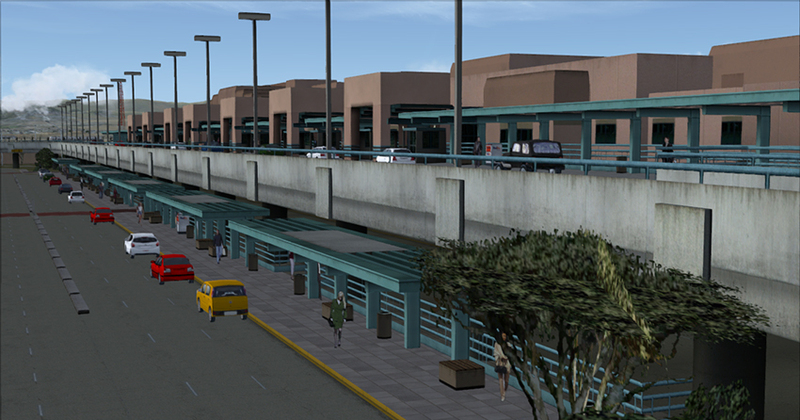 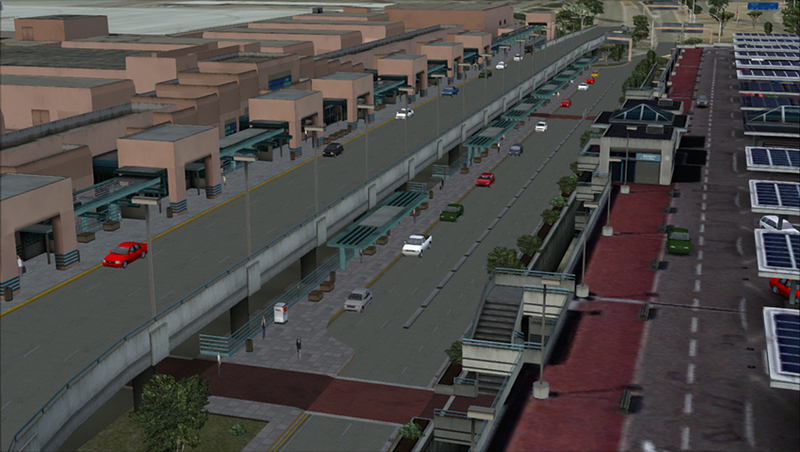 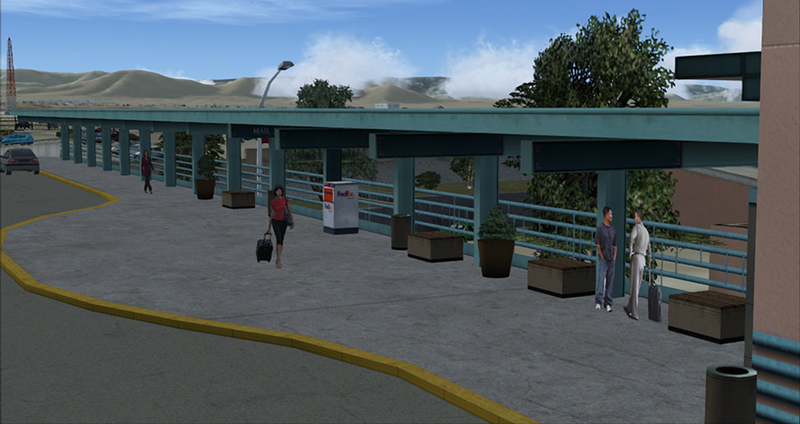 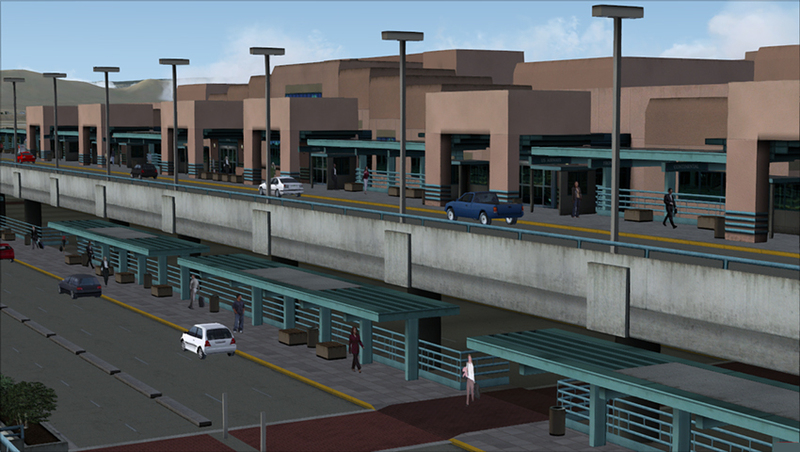 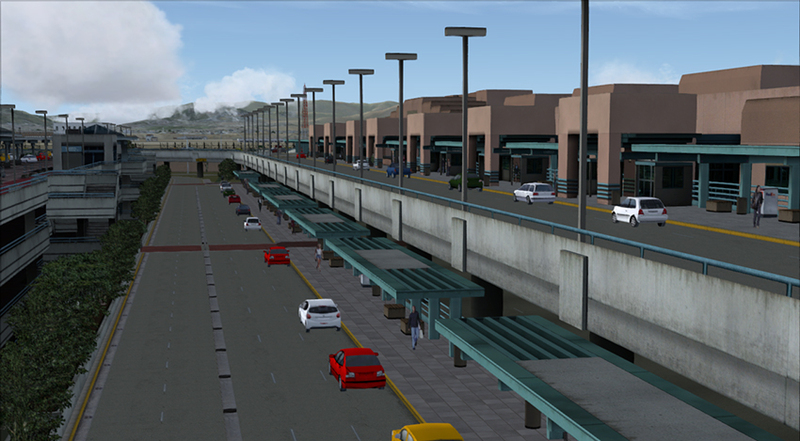 Yep, there will be a photoreal area around the airport. 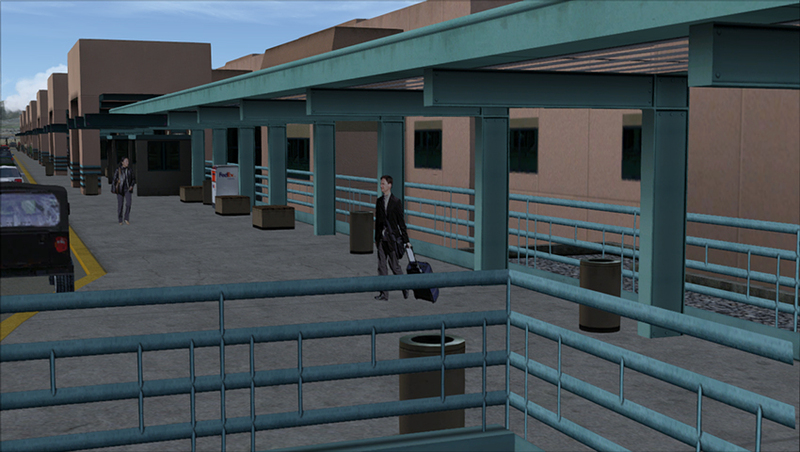 Respectively, the terminal textures look a little dark, though I know it is subjective. 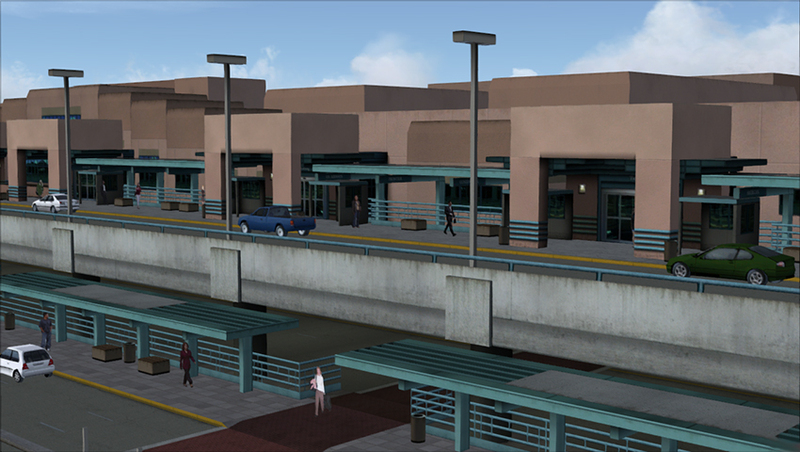 ABQ is generally bright and sunny, and the stucco generally appears lighter. 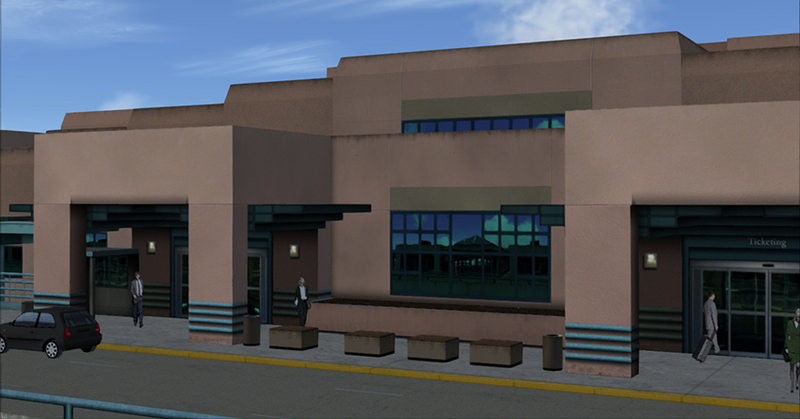 I was just at this airport recently in real life. 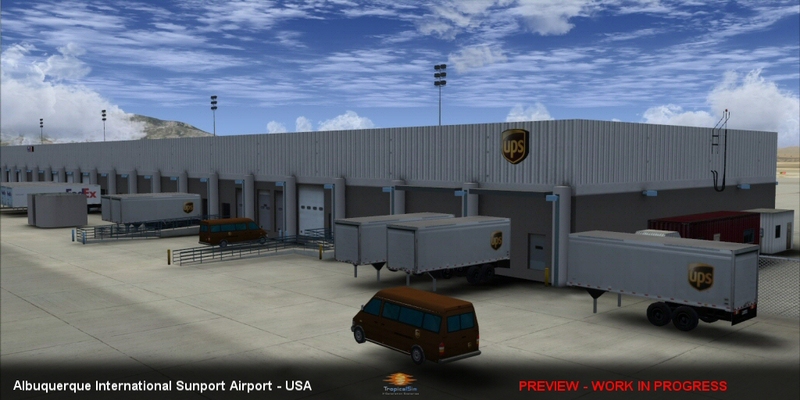 Great work Coral! 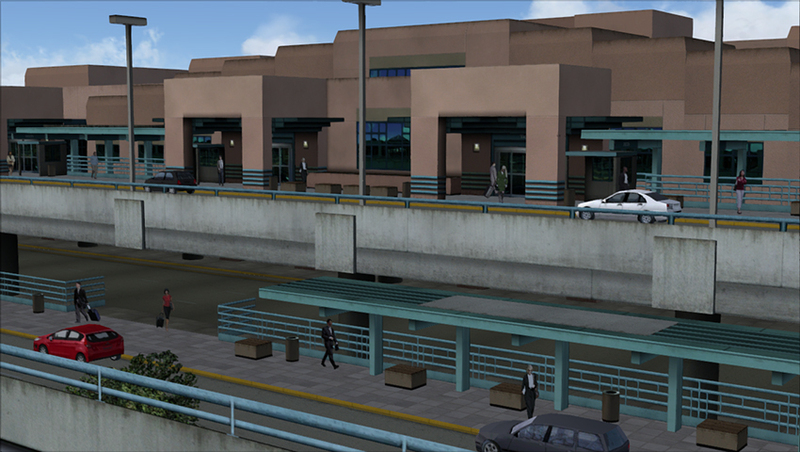 You guys have really captured the realism and it looks great. 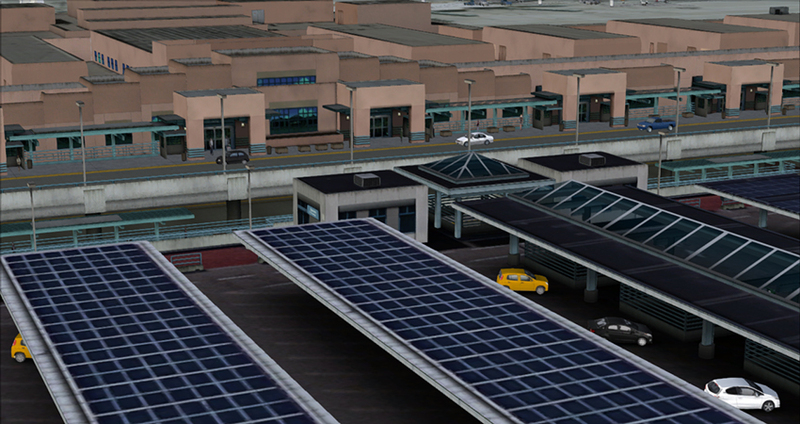 Any photos of the airside yet? 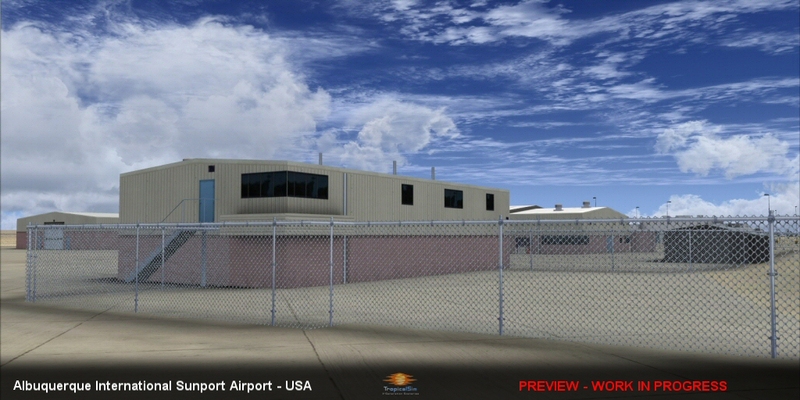 Any updates on this project most appreciated. 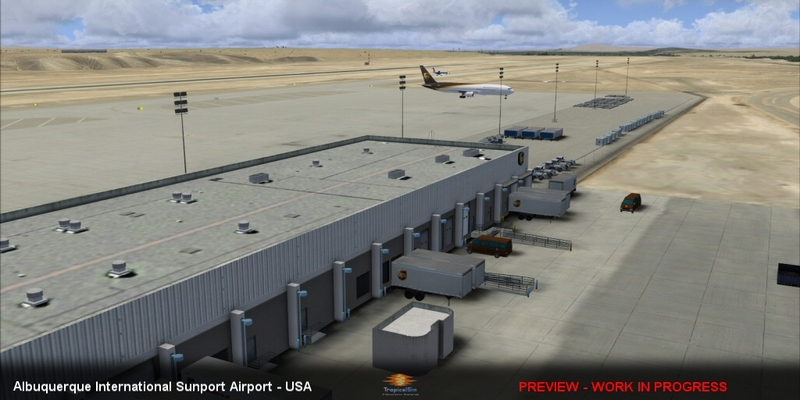 I still use FS9 a lot so I have to ask if there are plans its version also? 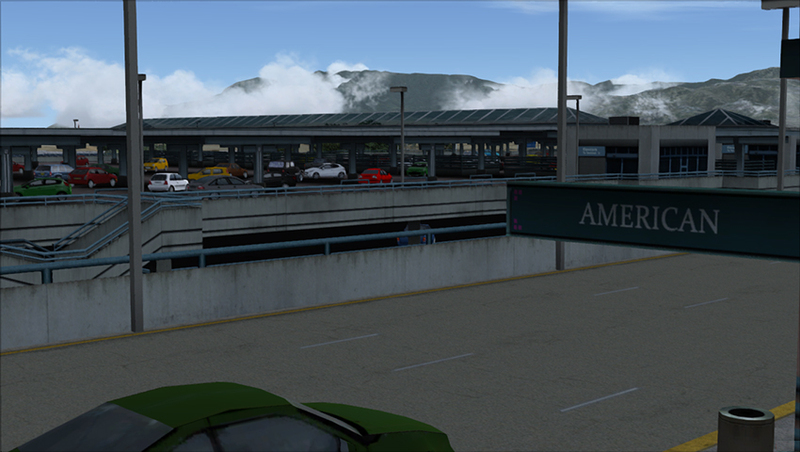 Regardless, thanks for doing this airport! 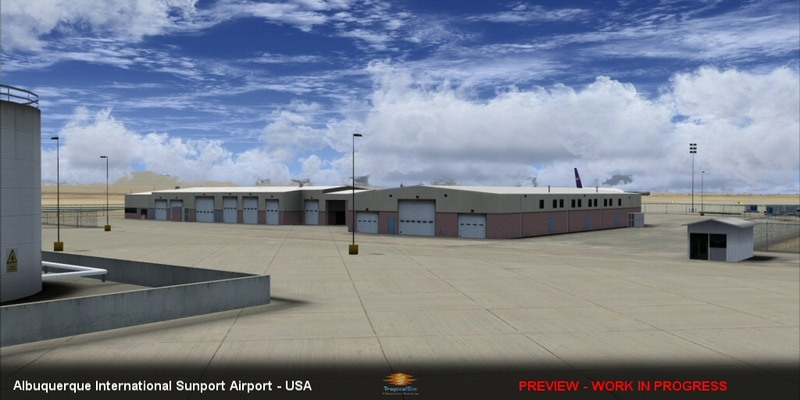 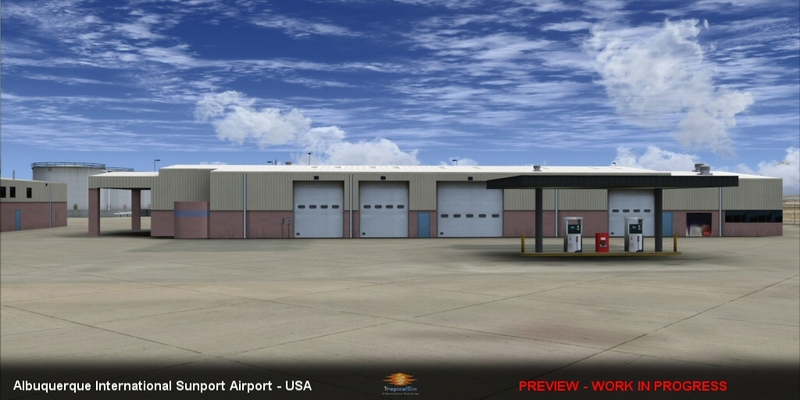 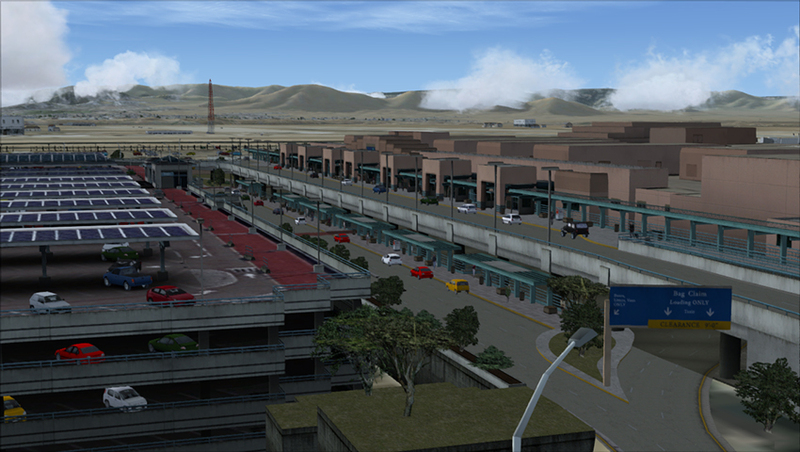 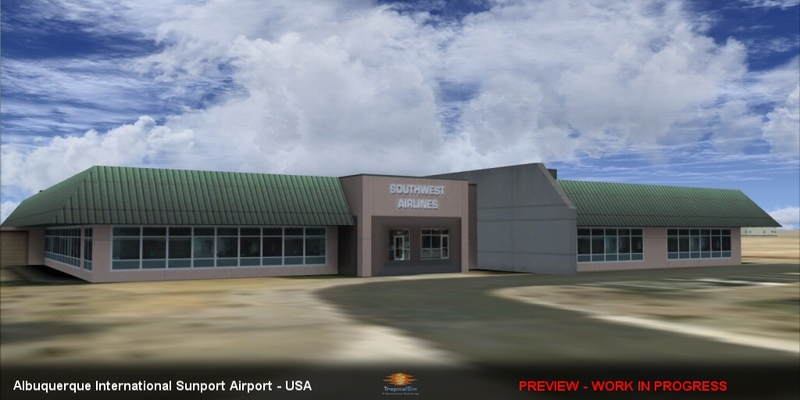 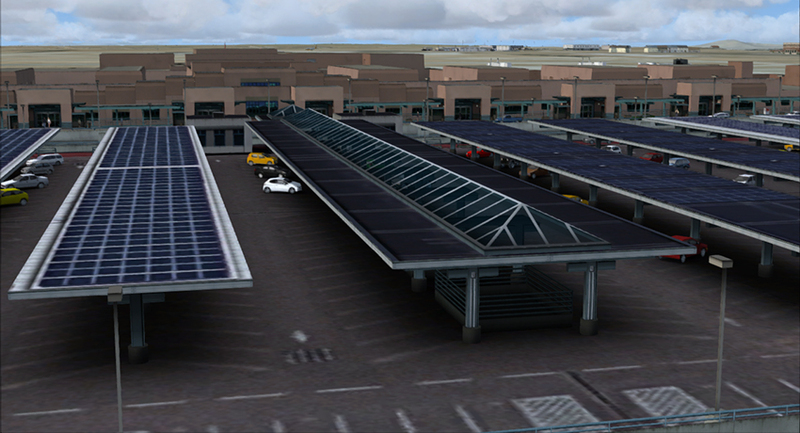 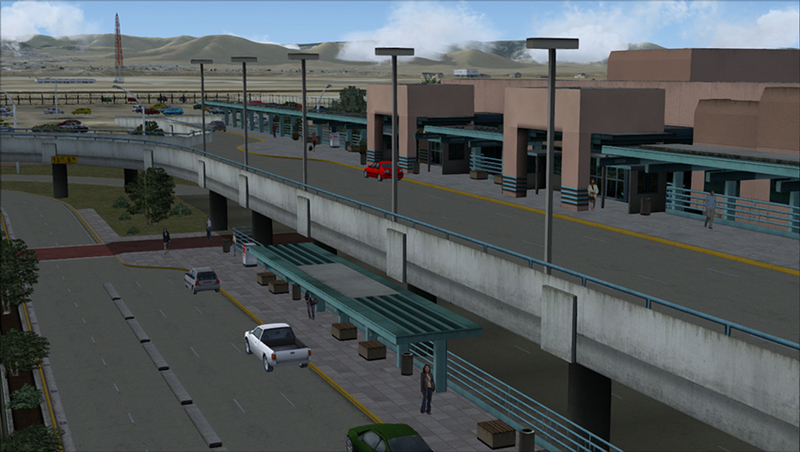 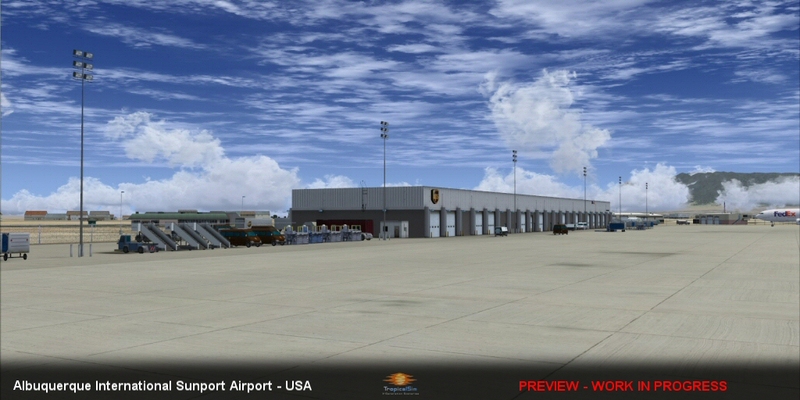 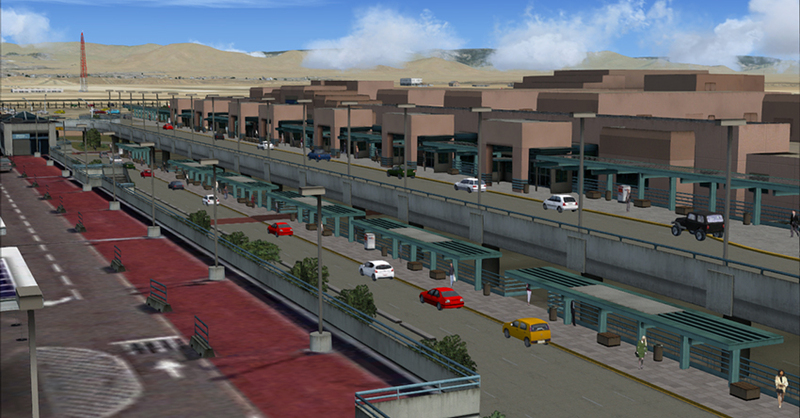 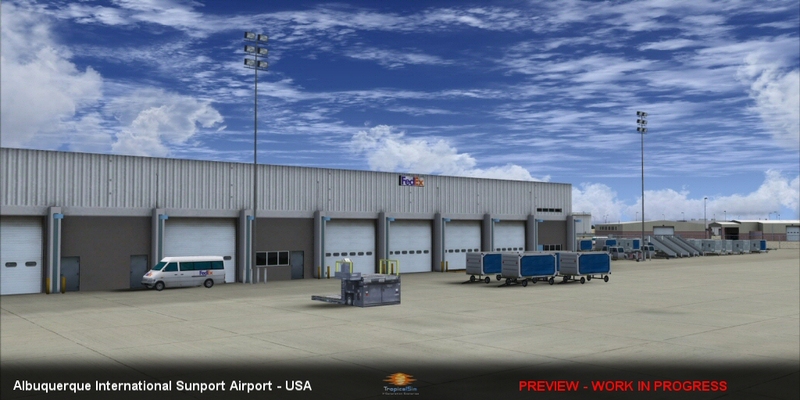 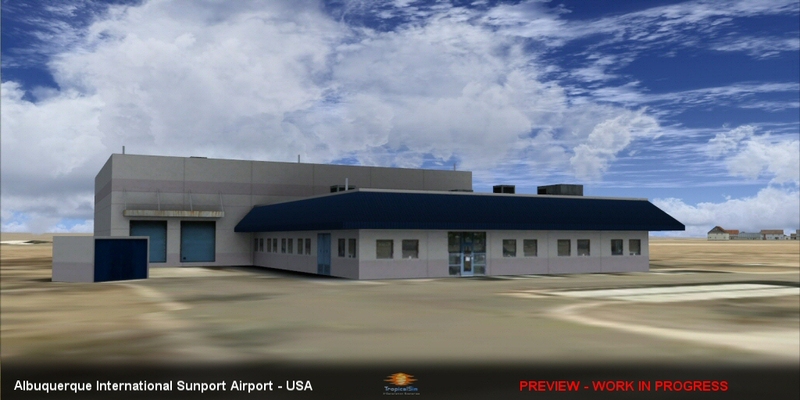 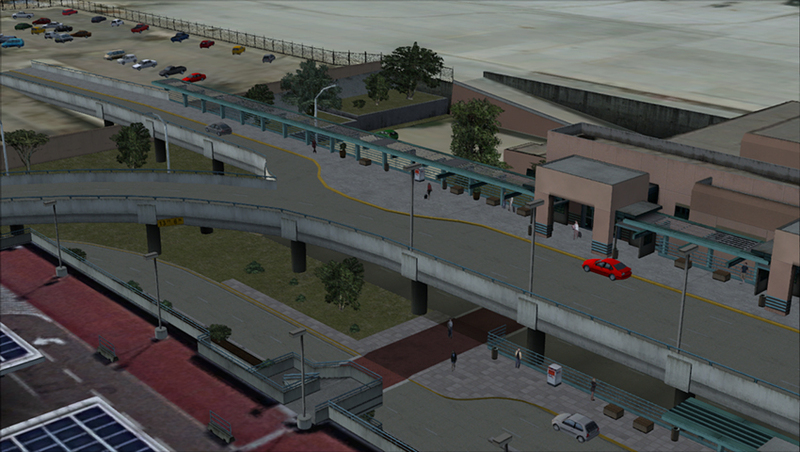 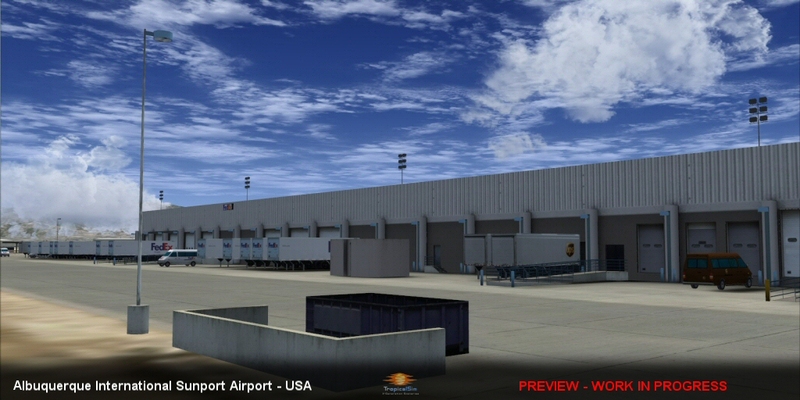 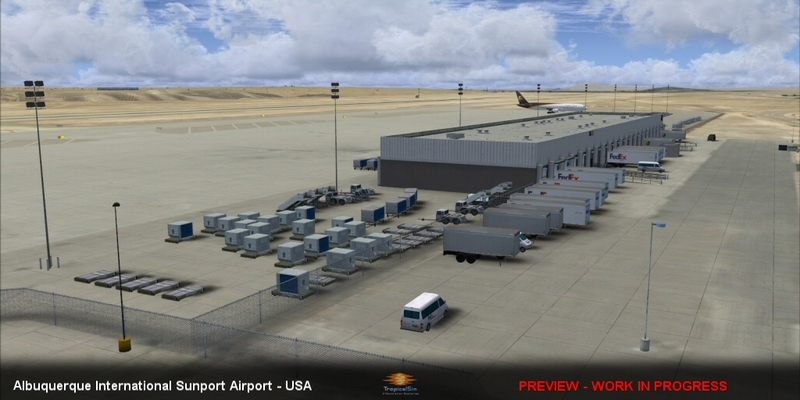 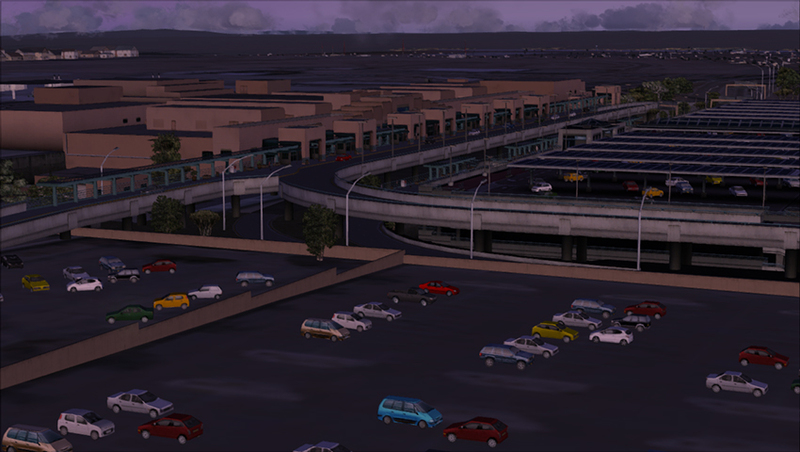 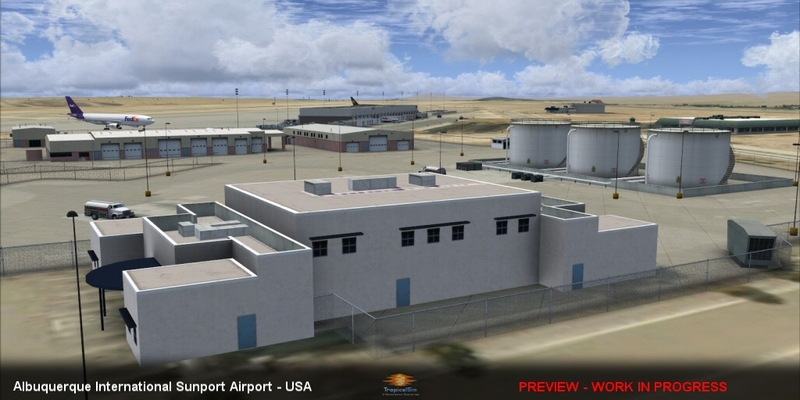 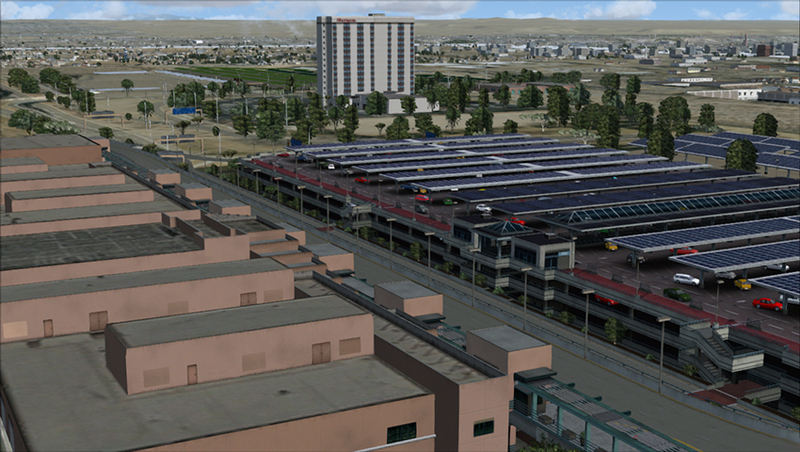 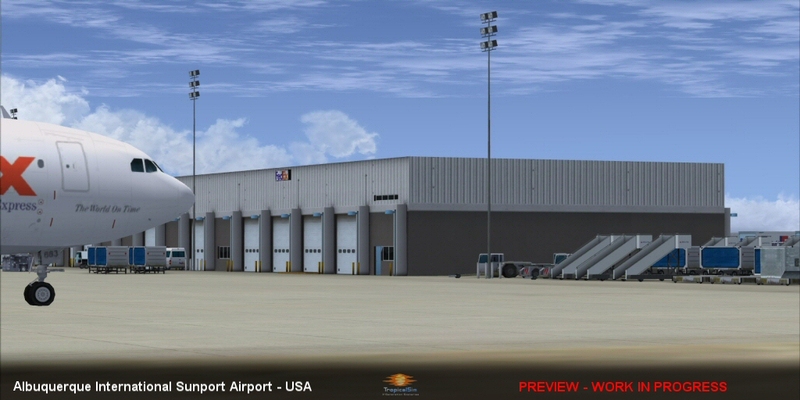 Next preview will show the terminal on the apron. 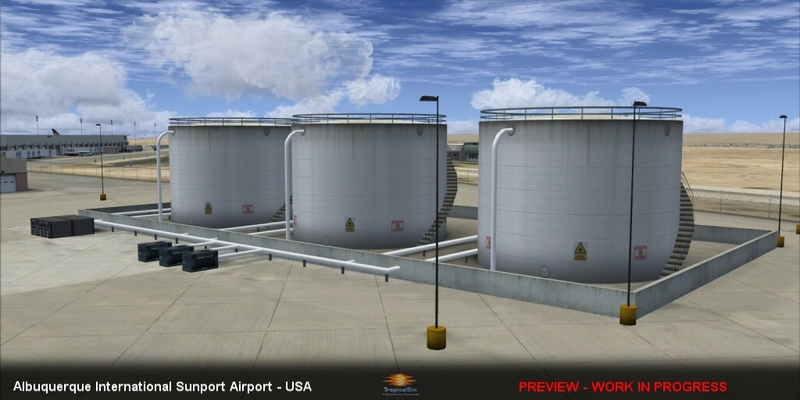 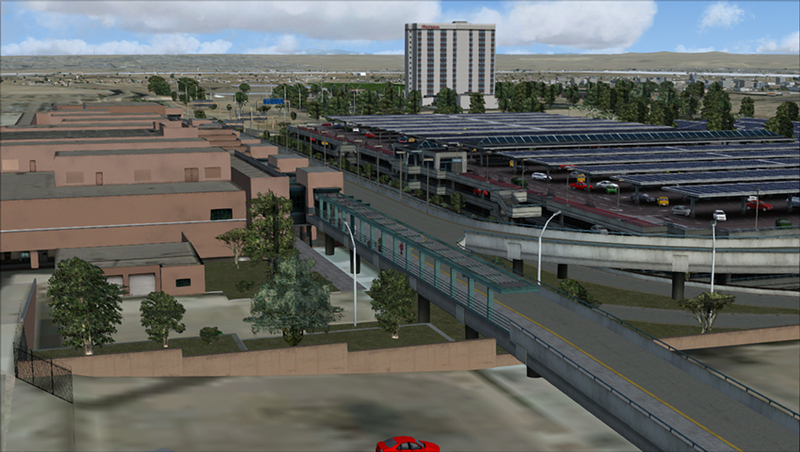 As for FS9 version, it's not very likely, especially since the terrain around the airport needs to be finely tuned and FS9's mesh resolution does not allow that.